Believe it or not, but there were days when you could travel to Mexico or Canada without needing to show a passport. Then September 11, 2001, happened, and the 9/11 commission recommended stricter rules for passports. 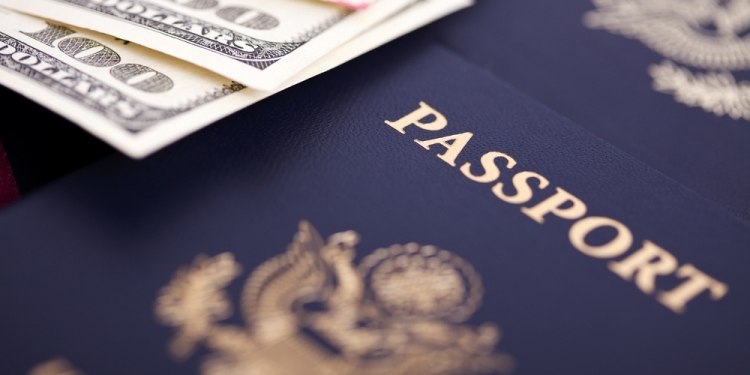 Starting in 2007, travelers going to Mexico, Canada, or the Caribbean had to have a passport. Previously, an oral declaration of citizenship was enough, which meant going from Washington State to Canada was barely more difficult than going from Washington State to Idaho. In the early 1990s, only 10 percent of Americans had passports, but now, more than 40 percent do. However, that still means the majority of Americans don’t have them. Those Americans may not be taking a trip to Iceland or Costa Rica anytime soon, but they still have plenty of options for travel if they don’t want to pay $145 to get a passport. After all, that’s money that could be spend on food or souvenirs instead. One of the best ways to feel like you’re leaving the country without doing so? Head to Hawaii, which isn’t even on the same continent as the other 49 states. Even Alaska can’t say that (although there’s a whole lot of Canada between Alaska and the rest of the United States). Getting to the Aloha State requires a four-hour-plus flight from California, which is a good 2,500 miles as the crow flies from the Hawaiian islands. There’s a distinctly Hawaiian culture that you simply aren’t going to be able to recreate in places like Minneapolis or Dallas. There’s nothing quite like taking surfing lessons in Waikiki or attending an authentic luau where you feast on dishes like pig and coconut pudding. The United States is a vast land full of unique places to visit, but none are quite as unique as Hawaii. It’s an expensive place to live, and residents can experience something called “island fever” due to the isolation. A person who lives in Kansas can hop in the car and drive a few hours to get away. That’s not an option in Hawaii, which may make it a better place to visit than to live for many people who aren’t used to island life. The Pacific Northwest region is one of the hottest places in the country right now, and we don’t mean that in a climatological sense. The region that includes Oregon and Washington (and sometimes parts of Idaho, Montana, and Wyoming) has experienced explosive growth in recent years. Seattle, Portland, and even Boise are among the fastest-growing cities in the country at the moment. Each city is worth visiting on its own merits, but don’t overlook the smaller towns in the Northwest either. The Mill Casino Hotel & RV Park in North Bend, OR, is a nearly four-hour drive from the heart of Portland, but it’s worth it once you gaze upon the gorgeous Coos Bay vistas and check out the fun and entertainment that awaits inside the casino. There are only about 10,000 residents in North Bend, but there’s still plenty to do. While you’re in the area, don’t forget to check out the Oregon Dunes National Recreation Area and the Coos History Museum.